Butyric Acid Complex combines butyric acid, calcium hydroxide, magnesium hydroxide and medium chain triglycerides. 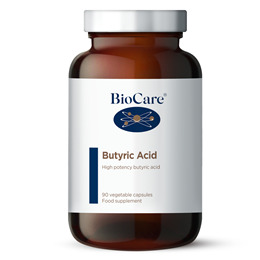 Butyric acid is primarily utilised in the large intestine and required as a primary source of energy for rapidly growing intestinal cells. 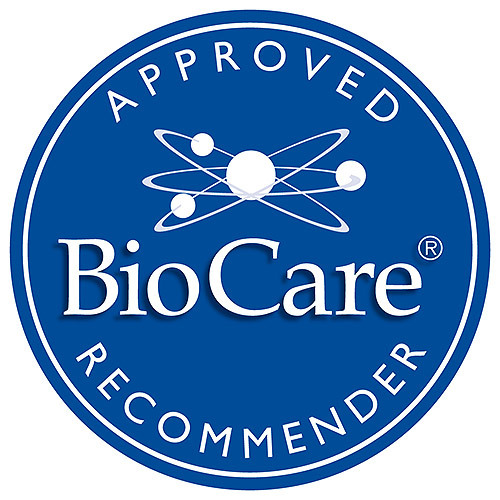 Butyric acid helps to support the natural renewal mechanism of the gut tissue. It has a normalising effect upon the production of on site enzymes and has a supportive role upon intestinal immune resistance. Butyric Acid, Calcium Hydroxide, Magnesium Hydroxide, Capsule (hypromellose & Water), Medium Chain Triglycerides. Take 1 vegicap three times a day, with food or as professionally directed. NB: This product has a strong sour smell which is completely normal. Not suitable for use during pregnancy or if pregnancy is being planned. Not suitable for individuals with colitis, gastritis or ulcerative conditions of the colon. Below are reviews of Butyric Acid Complex - 90 x 605mg Vegicaps by bodykind customers. If you have tried this product we'd love to hear what you think so please leave a review. Butyric Acid Complex combines butyric acid, calcium hydroxide, magnesium hydroxide and medium chain triglycerides. 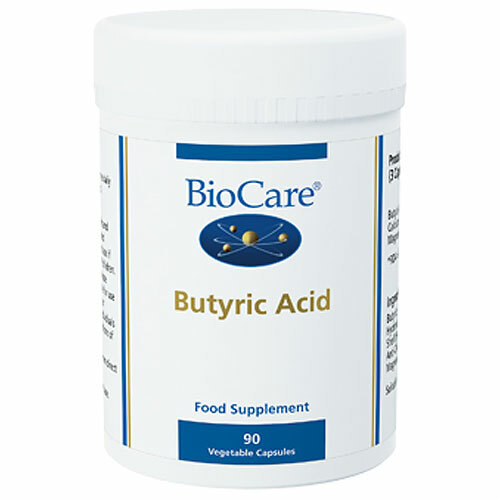 Butyric acid is mainly utilised in the large intestine and required as a primary source of energy for rapidly growing intestinal cells.